Are difficulties in dyslexia the same the world over? What can we learn from resources and practice in different countries? In this book, individuals, institutions and organisations have been gathered from around the world to report on the policies, resources and training for people with dyslexia and those who work with them. Over 50 countries are included in this guide, together with details of dyslexia associations and resources. This unique collection offers a wealth of information to parents, teachers and individuals who are seeking support. It also will be of interest to researchers, practitioners and policy makers. This book is also available as an electronic supplement to The International Book of Dyslexia: A Cross-Language Comparison and Practice Guide which is available from your bookshop or from John Wiley & Sons Ltd ISBN 0471498416 The complete volume is an extensive and wide-ranging guide to both dyslexia research and practice around the world. Ian Smythe is with the World Dyslexia Network Foundation in the UK. John Everett is with the University of Surrey, UK. Robin Salter, European Dyslexia Association. 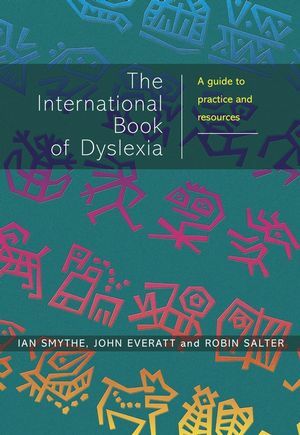 1 Dyslexia: A cross-linguistic framework (Ian Smythe and John Everatt). 2 Dyslexia in Arabic (Salim Abu-Rabia). 3 Dyslexia in Chinese (Wengang Yin and Brendan Weekes). 4 Research in Dyslexia in Danish (Dorthe Haven and Birgit Dilling Jandorf). 5 Developmental Dyslexia in the Dutch Language (Pieter Reitsma). 6 Developmental Dyslexia in English (Usha Goswami). 7 Dyslexia in Farsi (Kaveh Farrokh). 8 Dyslexia in Highly Orthographically Regular Finnish (Heikki Lyytinen, Mikko Aro and Leena Holopainen). 9 Dyslexia Research in German-Speaking Countries (Gerd Shulte-Körne). 10 Reading, Spelling and Dyslexia in Greek: Research on the) role of linguistic and cognitive skills (Costas D. Porpodas). 11 Developmental Dyslexia in the Hebrew Language (David L. Share and Mark Leikin). 12 Research on Dyslexia in Hungarian (Éva Gyarmathy). 13 Dyslexia in Italian (Patrizzio Tressoldi). 14 Learning to Read in Japanese: Word to sentence reading (Jun Yamada). 15 Dyslexia in Polish: Specific problems of dyslexic children in Poland (Marta Bogdanowicz). 16 Research on the Role of Phonology, Orthography and Cognitive Skills upon Reading, Spelling and Dyslexia in Brazilian Portuguese (Fernando C. Capovilla and Alessandra G.S. Capovilla). 17 Problems of Dyslexia in Russian (Olga Inshakova). 18 Dyslexia in Spanish (Almudena Giménez de la Pena). 19 Dyslexia in Swedish (Ingvar Lundberg). 20 Issues in the Assessment of Reading Disability in Second Language Children (Esther Geva and Lesly Wade-Woolley).